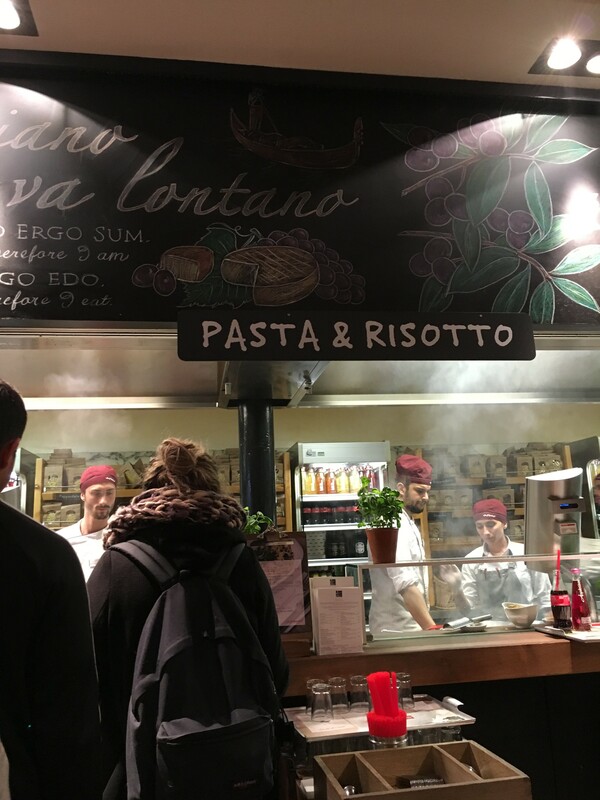 I like the concept of Vapiano, it’s totally a different experience to other chains of restaurants. Go into place and the desk hands over a smart card. 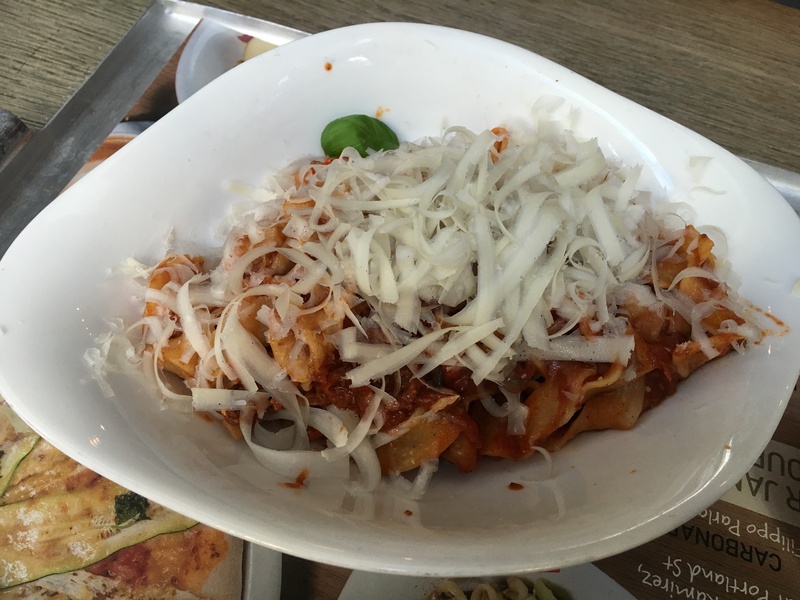 The German fast casual restaurant serves fresh Italian food. Where customers line up and queue in front of glass windows watching cooks prepare their food in front of your eyes as they order. 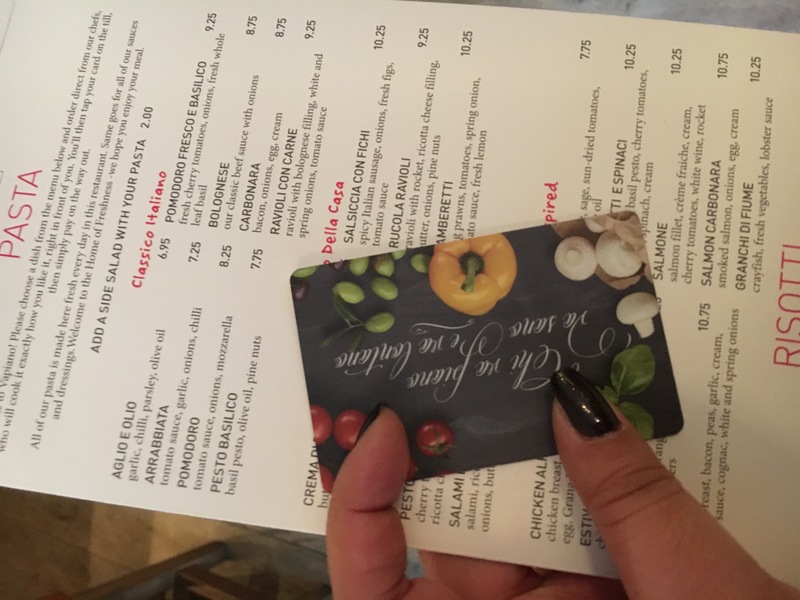 The smart card is scanned and you pay the balance off when you leave the restaurant. It’s not the first time going to Vapiano, when I did visit I only got myself desserts. One afternoon after my shopping trip in Oxford Street I popped into the Great Portland branch for some lunch. It’s a massive place taking up two floors, ground floor you order the pastas and pizzas and the bars you get your desserts and drinks. Tall sharing tables with plenty of open space to sit anywhere as you please. Now I really fancied trying the fresh pastas at the time, the classic beef bolognese. Ordering from the chef by the glass window I had various choices of pastas to choose from. I choose one of the thicker tube pasta. 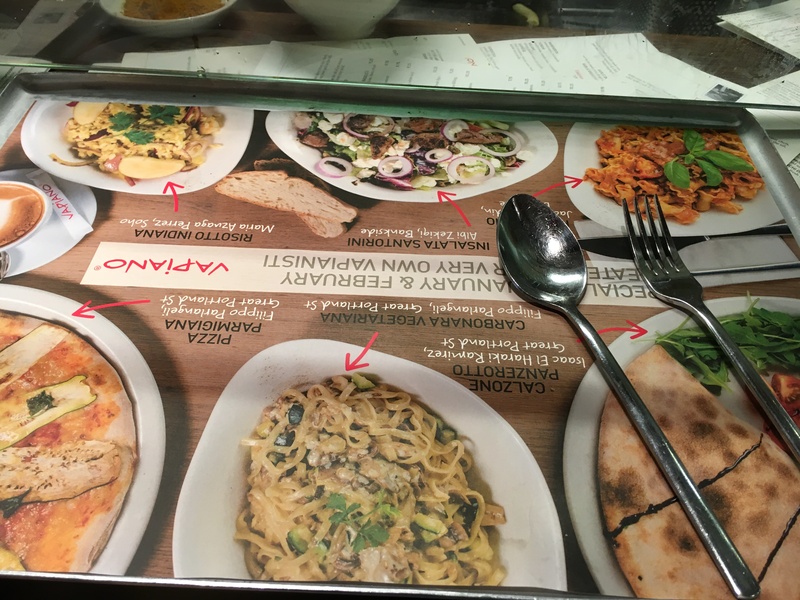 Pastas at Vapiano is made of water, durum wheat semolina. The chef cooks the pasta according to your taste, adding chillies and seasoning as you please. Pasta is cooked in a basket timed so it automatically lifts back up, then the cook toss the pasta with the homemade sauce of your choice. Fresh pasta wouldn’t do with heaps of paraman shavings. Taking my big white bowl away I enjoyed the hot fresh pasta in my own time. Although everything was made fresh before my eyes, something lacked flavour in the sauces. Yes, it was meaty with chunks of onions, but something was there. It just needed more oomph. Regardless I still love having one of the mini pots of desserts Vapinao makes. 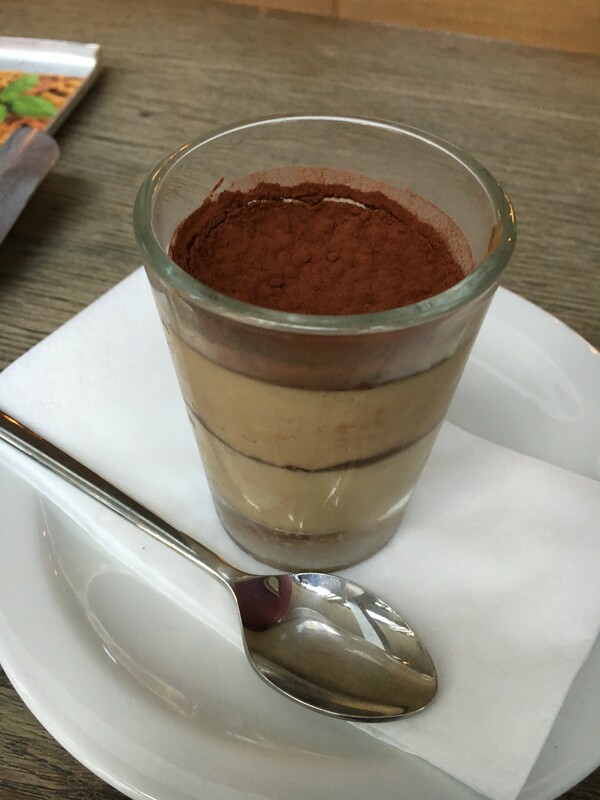 This time I picked one of the Italian classics tiramisu. Love the light fluffiness of the sponge and subtle taste of the coffee. 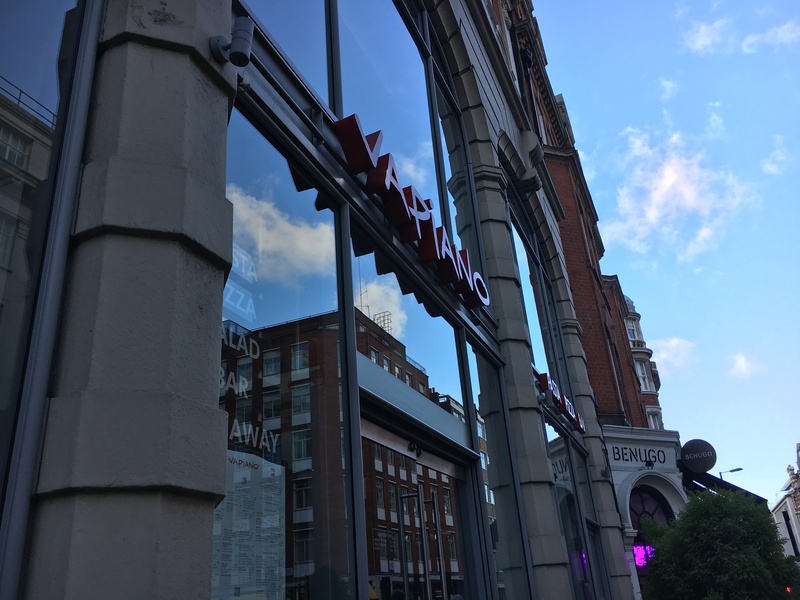 my current fav restuarant in london! for casual lunch or dinner with the bf!